Created during my internship at fffunction, when I had free time to learn how to use Wordpress. 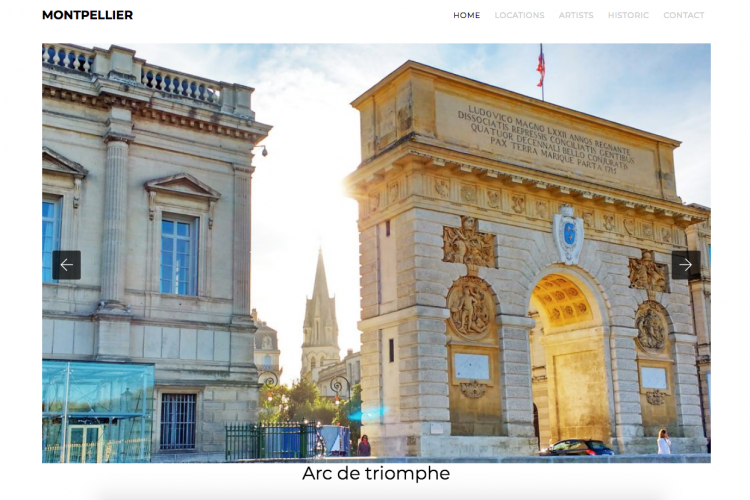 The website shows information about Montpellier, a town in the south of France, with its best locations and artists. The goal is to give idea to users about what to do if they come one day in Montpellier. The template was taken from internet, but was changed by me to matches the content. As I written before, it was made with Wagtail and the content can be modify. The administrator can add any location or artist, set information about it and make the website more complete. The main challenge was to create the carousel, as it works depending on which page you are. For that, I used a plugin that allows to put categories on an image in the Media Library. Like this, I can choose "Location" as a category and after the image will be show on the Location page, with its title.